Condition: Very Good. Fold as issued. Sufficient margins. Verso: blank. 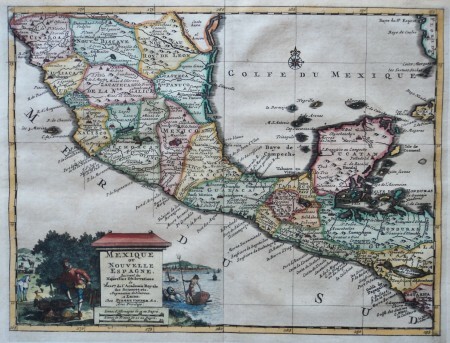 Uncommon map of Central America. 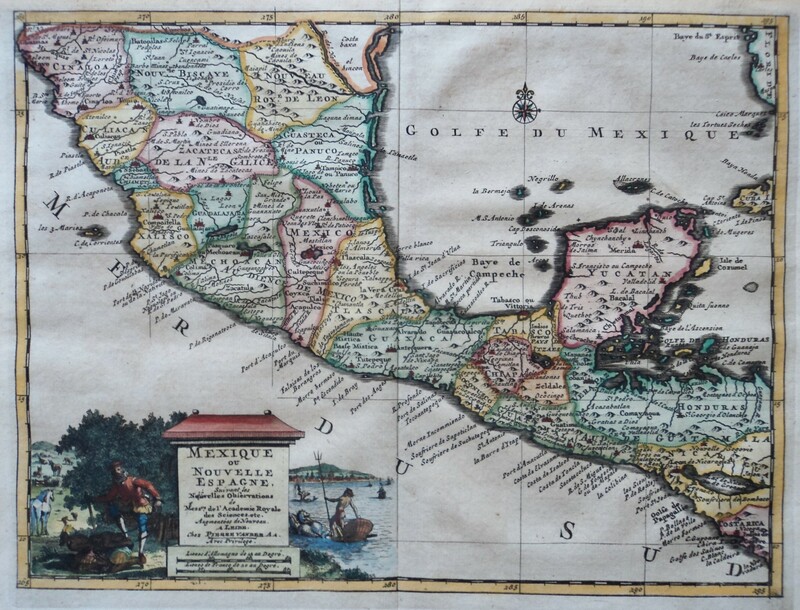 The map depicts the region of Mesoamerica, from South Texas to Costa Rica, crowded with place names and religious establishments. Published in Leiden, Netherland, Pieter van der Aa.